On Monday, October 15th 2012, we sponsored and presented our rent survey and market data at the annual Indiana Apartment Association's Industry Outlook. George discussed our new market research data. He also spent time talking about some of the interesting new development and sales transactions that have taken place in the city of Indianapolis (and the State of Indiana) area over the last year. For additional details from the presentation and the Indianapolis multifamily market, visit the 'Market' page on our website. 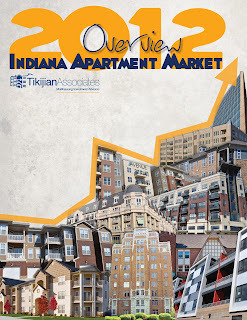 Our new 2012 Indiana Apartment Market Overview is now available! 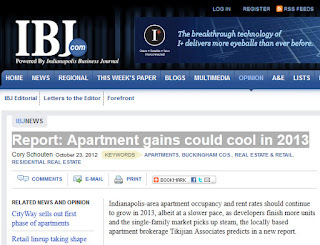 This overview contains new rent survey data in addition to Indianapolis new apartment development, and an overview of 2012 sales transactions. 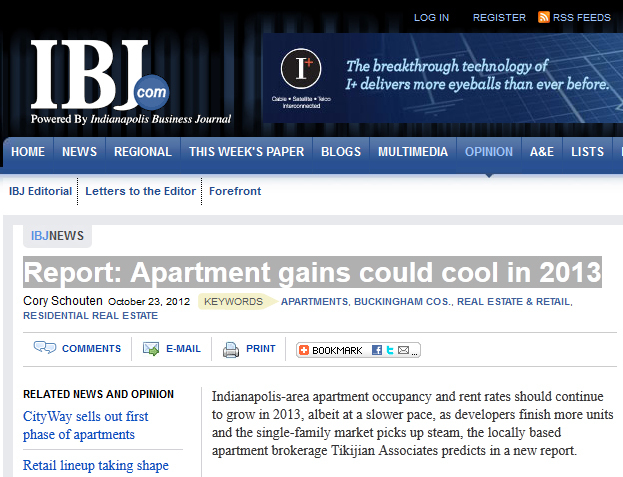 Visit our website for more apartment market information in Indiana and Kentucky.